National Window & Door, based in Christiansburg, Virginia, is considered the leader in window replacement in the VA area. They have been serving the area for over thirty years now and expanded their service area throughout Montgomery County, Roanoke County, Franklin County, Wythe County, Pulaski County, Giles County, Bedford County, Floyd County, and Botetourt County. National Window & Door offers the best in energy-efficient windows with designs that are sleek and fits any shape and size needed in any home. Whether it is replacing windows, working on a residential or commercial building, they have all you need, ranging in options, style, color, all the way to professional installation, all while making your purchases a breeze. This company also specializes in selling and installing garage doors, interior doors, railings, screened-in porches, shutters, skylights, and sunrooms among other hardware. National Window & Door offer excellent customer service with friendly sales representatives ready to assist you. You can rest assured that you will get the best products for your home to suit your budget. Their replacement windows are made from a specialized vinyl that does not conduct heat or cold, making it the right choice for energy-efficiency for your home. The vinyl windows also come in a variety of colors and different glass options for each unique requirement in the home. Their range of vinyl windows also includes a lifetime warranty that protects your investments. National Window & Door use their vast knowledge and experience of the building industry to advise their clients on the best options for new constructions. They are stocked with all the standard shapes and sizes and also capable of creating custom designs to fit any window space. They make use of Ply Gem– and JELD-WEN‘s vinyl and aluminum/wood clad products, giving any new building or home a modern look. The aluminum/wood windows give the elegance of wood on the interior with the aluminum strength on the exterior, coming in a variety of colors and options. Vinyl windows also come with a longer warranty and more cost-efficient option compared to the wooden windows. They also have the option of multiple different colors to choose from. Double-hung windows are the most traditional style of windows for the home. It has two movable sashes, top, bottom or both. In addition, both can be tilted and this allows for easy cleaning. Another neat feature of these windows is that when the top sash is opened, it allows for hot air to easily escape, keeping the interior of your home cooler. Another type of window that National Window is known for is their sliding windows with a horizontal opening style that gives a much better view. 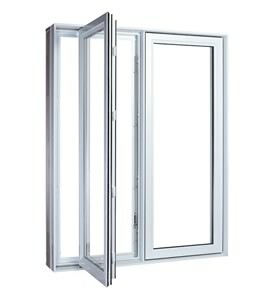 These windows have superior functionality and form compared to other windows and are easy to use. In addition, they also use fewer parts than other windows, making them much more cost-efficient with less maintenance. If you are looking for an unobstructed view, casement and awning windows are the option for you. Great for areas where you have a panoramic view that you want to enjoy. They are also very energy-efficient, which means it keeps the bad weather outside and the good weather inside. Bay and bow windows give a great view while also creating more space inside your home. 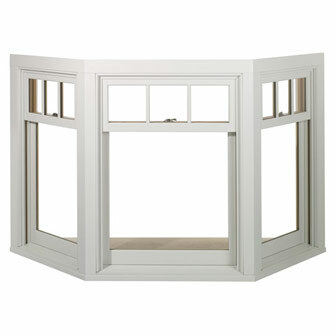 The bay and bow windows project towards the outside of your home. Although similar, the bay window consists of three sections, while the bow window consists of four to five sections. Also a notable difference between these two types of windows is that bay windows consist of picture windows that make each of the three sides appear straight. The four or five sections of the glass of the bow windows are more curved, giving it a more rounded look. Garden windows live up to their name and act as a mini greenhouse inside your home. If you are someone who enjoys having plants in your home all year round or want to have a herb garden right in your cooking area, this is definitely a perfect choice. Garden windows are very energy-efficient and give a stunning view of the outside. They allow a lot of light into your home and are ideal for kitchens. National Window & Door is your best bet for home renovations and new constructions in the Virginia area, specializing in windows, doors and so much more. You will be able to find anything you need for any project you are planning. Their expert sales teams are always eager to answer any of your questions and give free quotations for whichever project you are planning.